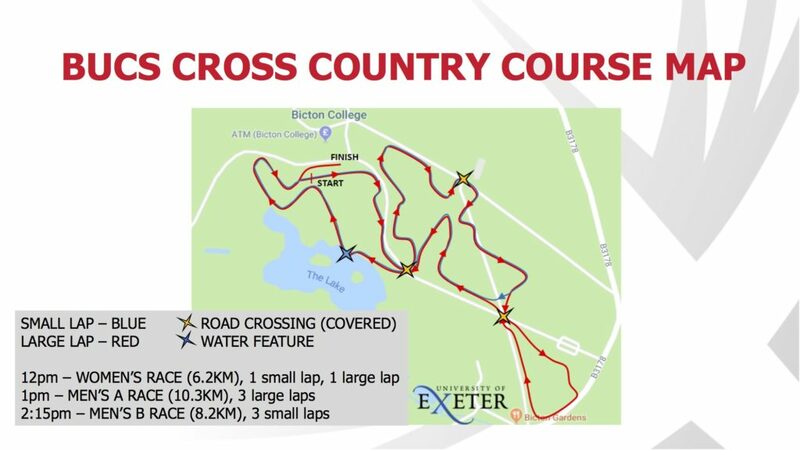 On Saturday 2nd February, athletes from across the UK set off from home to the southern city of Exeter to compete in the BUCS Cross-Country race. 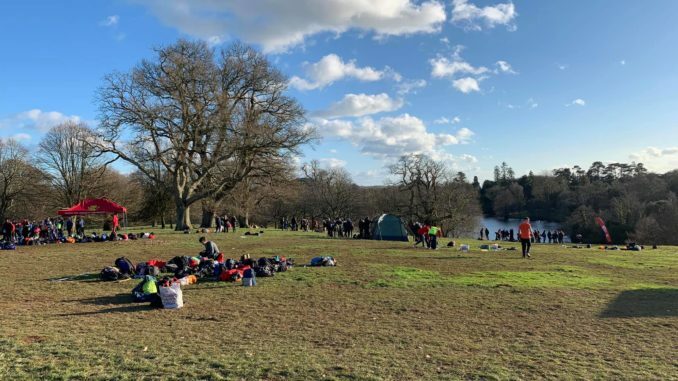 Despite concerns raised due to the weather and the snowy landscapes observed by many on their way to Devon, the course itself in Bicton College was clear and as athletes started arriving in the morning, the sun came out and set a vibrant atmosphere. With over 1500 competitors, along with their supporting squads, the ground in Bicton College was soon rumbling as athletes here and there brought out their running kit, face paint and game face on to collect their numbers and start warming up. 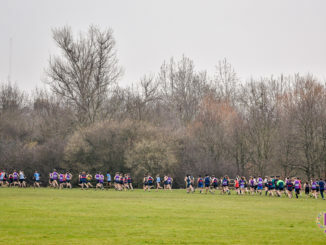 Strong performances were expected from the London-based universities, especially King’s, UCL, Reading, and the notorious Imperial and St Mary’s who are respectively on top of the women’s and men’s LUCA Cross-Country league leaderboards. With a tight schedule for the day, the teams had no time to waste so cracked on with their warm-up and course reconnaissance and before long, it was time for the first race of the day. The Women’s race, with a massive 642 runners at the starting line, took off at 12 sharp. The race consisted of 1 small lap of approximately 2.7 km followed by one long lap of approximately 3.5 km, both featuring an optional water part, although for those in it for the fun rather than the leaderboard, it was never really an option. In the lead after completing the first lap in only 8:39, Anna Moller showed the way for the St Mary’s team as she powered through and won the race in a staggering 20:33 with over 10 seconds lead on Birmingham’s Amelia Quirk. Outstanding performances by LUCA ladies were also provided by Imperial’s Dani Chatterton, completing the course in 21:30 and coming in 7th position, followed closely by Louise Small, Emily Moyes Izzy Fry all from St Mary’s and coming respectively in 9th, 23rd and 30th position, UCL’s Tara Bage in 36th position and finally Lucy Marland, also from Saint Mary’s coming in 43th, closing the top 50 for LUCA athletes. Stellar performances by the women made for equally exceptional team results as, with three runners scoring per team, Saint Mary’s teams came 3rd, 12th, 26th, 36th, 57th. 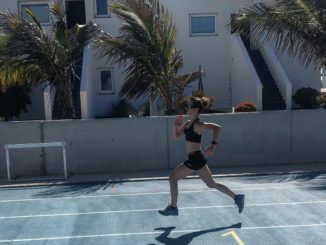 With strong runs by Dani Chattenton and teammates Alex Mundell in 61st, Katie Olding in 81st Alix Vermeulen in 97th, Sofia Jegnell in 169th and Liv Papaioannou in 199th, all making it in the top 200, and the rest of their 18-strong squad, Imperial’s teams came 16th, 49th, 113th, 143rd, 165th, 183rd. 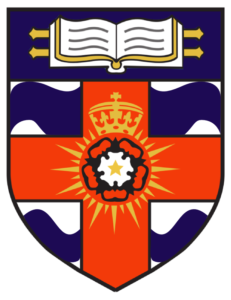 King’s were led home by Ula Krajinska 14thposition, followed closely by Anna Blake in 156th and Megan Powell in 215th, completing their first team and coming 54th, while the rest of the King’s ladies brought home 155th, 173rd and 189th for the team standings. With 5 women competing, LSE’s women’s team came in 67th position with Catherine Meyer putting in a great performance and finishing in 113th position, less than 7 seconds from coming in the top 100. Queen Mary also proved their worth on the muddy ground as Rebecca Pease finished in 26:42, coming in 242nd position, and leading their first team home in 95th, while the rest of the squad brought home 138th and 172nd for the team rankings. Caitlin Tevendale from Reading was the first lady home from the (very) west-London university, followed by Georgie Judge just 8 places behind in 277th, scoring top points for their team, as Reading finished in 101st and 141st position on the team leaderboard. 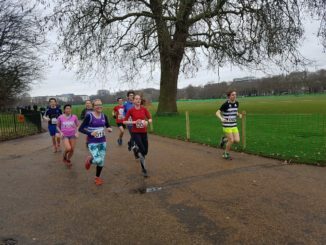 Last but not least, UCL put in a great performance on Saturday as, led by Tara Bage in a rapid 23:05 race, the central London university placed an impressive 5 athletes in the top 200, with their teams coming in 30th, 63rd, 133rd, 156th, 170th, 179th. After an exhilarating first race with great running, slipping and water-part-tumbling experiences, the spectators were all warmed up with their megaphones, air horns, vuvuzelas and chants, ready to congratulate the ladies after a great race and encourage their best men as the A Race was about to begin. 3-laps long, the 10.3 km challenge awaiting the 319 men was no piece of cake. As it kicked off at 13:00, the stampede shook the spectators as the leading pack stormed off at an incredible pace, outrunning the spectators while covering a much longer distance before the next supporting hub. By the end of the first lap, a dominant pack with an average of roughly 3:00/km led by, no surprises, Saint Mary’s, set the pace for the remaining two laps, as the crowd absolutely adored the speed, mud and splashes in the water part. 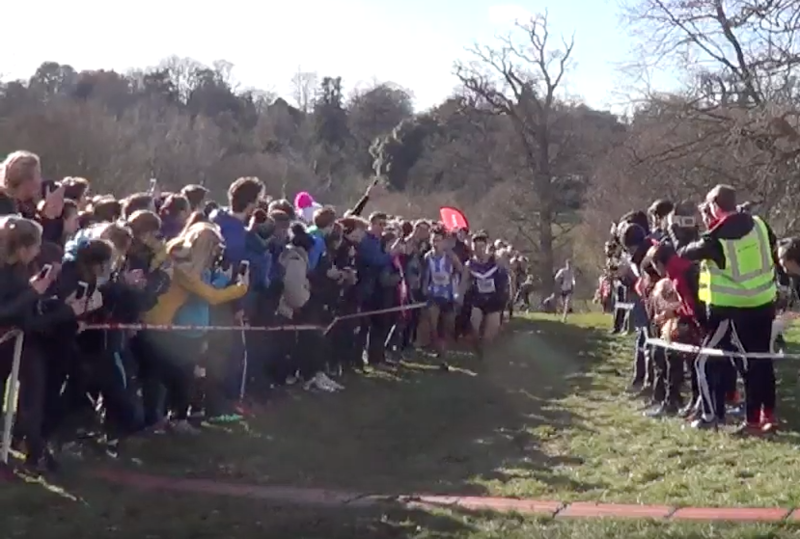 With the top 4 men scoring in each team, Saint Mary’s absolutely dominated the race with Emile Cairess finishin in a ballistic 31:13.5, winning by only a tenth of a second ahead of Loughborough’s Patrick Dever after an incredible sprint finish that left the crowd screaming. Saint Mary’s Petros Surafel, Luke Prior, Ellis Cross, Dan Jarvis and Corey De’ath came respectively in a mind-boggling 7th, 9th, 13th, 22nd and 23rd place. Huge congratulations to the whole team for a simply outstanding performance. Next from LUCA in the men’s A race was the imperial squad: led by Luke Caldwell coming in 11th position, their star athletes Daniel Mulryan, Niki Faulkner, Oliver Newton and rising star Charlie McFadzean came respectively in 49th, 57th, 126th and 148th position, meaning the team placed 9th on the BUCS leaderboard. UCL also put in an impressive performance as, with Alex Bampton coming in 40th position, followed closely by Paddy Roddy in 48th position, the team came in 15th in the A-Team ranking. 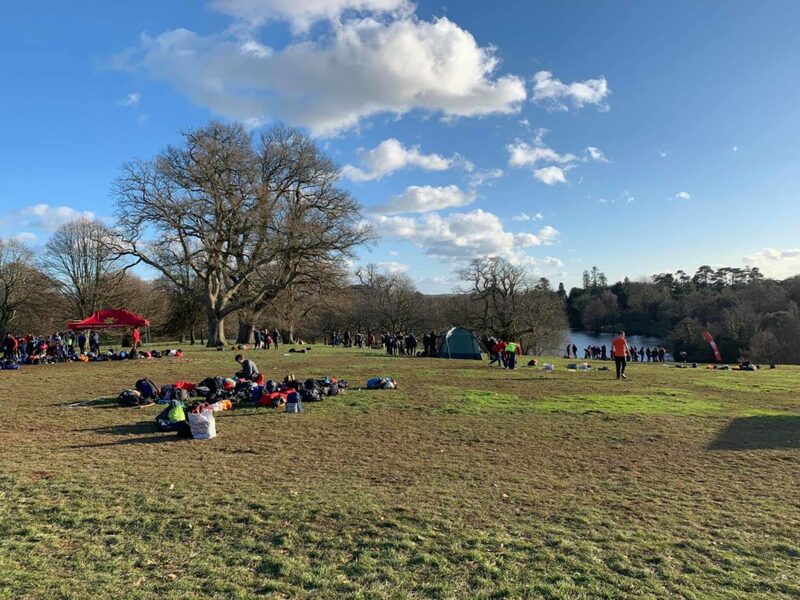 For KCL, the team was led home by Max Nichols performing extremely well and coming in 12th place, securing 28th place for his team with Jamie Dellimore, Will Marshall and Will Griffiths scoring for the team in 141st, 167th and 202nd position respectively. After a strong race by their women’s team, Reading also performed excellently in the A race as James Lyne led his teammates to the finish line in 35:21 in 79th position, followed by Dominic LeMare in 159th, William Hayward in 161st and James Fox in 190th, with all 4 scorers finishing in the top 200. After hosting BUCS XC last year, it was Brunel’s time to shine and, with four runners making it past the finish line, it was Sam Metcalf who completed the tough course first, coming in 82nd position, with their team coming in 41st overall in the A-Team ranking. Queen Mary’s A runners came in 50th with Ga Kitada finishing in 229th place and leading his teammates Liam Vandamme, Karl Martin, Connor Murphy to the finish line. Congratulations to Laurence Heyes and Jack Dickenson who single-handedly represented SOAS and St George’s in the A-Race and coming in 250th and 136th position. As the solar noon was way gone and the sun was already becoming frail and warmed the spectators less and less, the start of the final race at 14:15 was pleasantly welcome. With 548 runners from a wide range of abilities setting off on their 8.2 km run, this was a great race for the crowd: from gruelling sprint and hill battles after the water part to acrobatics at the water part, the mood was jolly yet still competitive as everyone gave it their very best. LUCA athletes across-the-board displayed great skill and endurance. Saint Mary’s, yet again, displayed their outstanding standards. Their first two teams came in 2nd and 4th as Abdulquani Sharif came in 1st, Callum Charleston in 6th, Chris Law in 9th, Samuel Johnson in 10th, Cameron Allan in 11th, Max Jones in 15th, James Gillon in 21stand Joe Wigfield in 24th, 8 athletes in the top 25! As if this achievement wasn’t enough, their remaining teams also scored 10th, 16th, 32nd and 62nd! Imperial’s 22-strong squad was led home by Joe Pomfret in 126th position, followed very closely by Thomas Bayley in 127th, Matt Douthwaite in 130th and Fergus Johnson in 137th position. Overall, they came 34th, 51st ,65th, 82nd, 94th, with a special mention to Matt Ryan who won the crowd’s heart with a dive worthy of the olympics on his last lap at the water part. Reading had had a successful day so far, and it didn’t end here as Elliot Davies led their team home in 206th and helped his teammates grab 77th place for their B-Team on the leaderboard. After a strong performance from the ladies, UCL’s men teams didn’t fail to show the quality of the university as the 15-strong squad, with Alexander Bonnet-Badille at the front finishing in an impressive 121st position, stormed the field and placed 45th, 80th and 97th on the B Team leaderboard. Queen Mary London put in four strong efforts that didn’t go unrewarded as Oliver Spear, Jasper Craib, Joe Cheung and Callum Campbell represented their team on their own in this race, and placed their university 105th in the race ranking. Despite not fielding enough runners to score as a team, athletes from Brunel, LSE and RVC gave it their best shot as Thomas Horrex, Joseph Orsley and Luke Gunter respectively represented them in this ultimate race of the day. As the final race came to an end, most teams regrouped for team pictures, baking degustation, and some well-earned rest. Overall, LUCA runners from many universities made a huge effort to represent their team and LUCA in general, and the results reflected this dedication. Congratulations to all of those that took part, wether they brought back a medal or DNFed, it was an absolutely cracking day and I personally can’t wait for the next one. 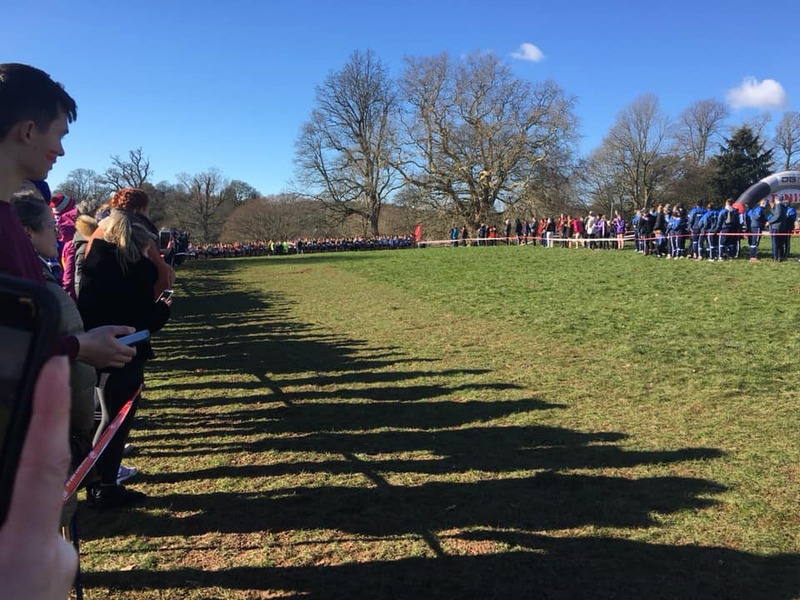 Many thanks to all of those that helped with the organisation and running go the event, notably University of Exeter Athletics Club, volunteers and marshals without whom none of it would be possible and Bicton College for hosting us on such a fabulous winter’s sunny day. 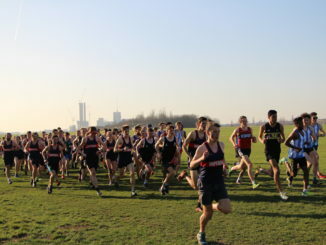 If you can’t get enough of Cross-Country, make sure to come to the last LCL on the 27th February at Wormwood Scrubs! 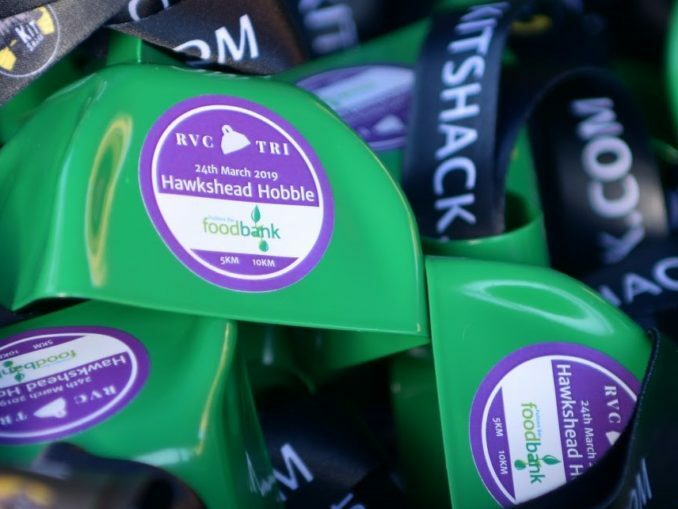 ED Awareness Week – we want your stories!